Our pilot agriculture project in Syria has helped 200 vulnerable farmers get back to their fields, and cultivate the land with all their energy. The results exceeded our expectations. The harvest season has been very good and the project has restored dignity and hope for an entire community. As a result of the conflict, many rural Syrians have been deprived of their livelihoods in the agricultural sector, which provided employment to 47% of the population before 2011 and accounted for a quarter of the country’s GDP. 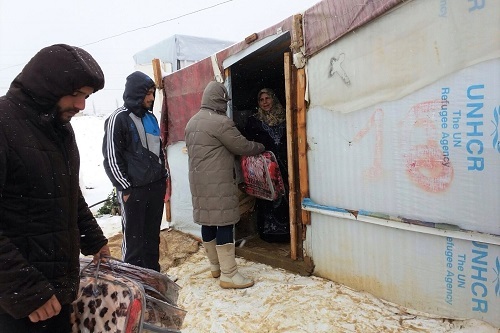 Today, over half of Syrians are unable to meet their basic daily food needs and require urgent lifesaving and sustaining food, agriculture and livelihoods assistance. 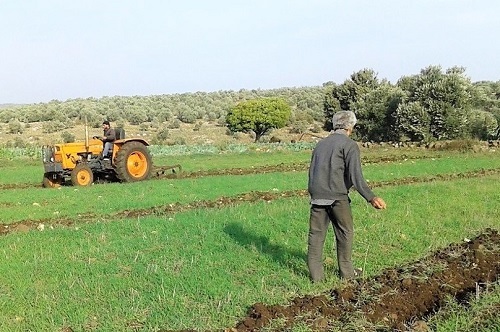 Our pilot agriculture project, implemented by our in-country partner FMEEC, aimed to improve the resiliency of crisis-affected crop farmers in Syria and help them return to pre-crisis levels of production and capacity. 200 vulnerable farmers in a remote area within the Homs governorate received in-kind fertilizer and wheat seeds as well as a US$200 cash subsidy for agricultural purchases such as diesel, herbicides, pesticides, vegetable seeds, sprayers, and plastic irrigation hosing. The farmers were extremely enthusiastic about the project and eager to return to their lands after years of not being able to work due to the impact of the conflict. It immediately brought hope that their distressing economic situation was starting to come to an end. We did not dream something like this could happen. We had the land, the water, and the necessary expertise. All it needed was this first push you gave us! After preparing the land, planting the seeds, watering and taking care of the crops, came a time the farmers and their families had been eagerly waiting for : the harvest season. Harvesting started with the cabbage season, which was a success in terms of quality and quantity. Shortly before the end of this stage, the harvesting of beans began and the farmers continued selling them for more than a month. Large quantities were harvested and good profit was generated, making most of the farmers very happy. The farmers then started harvesting wheat and marketed this crop at prices that were higher than the previous year. Overall the project successes included increasing cultivated land area and restoring the agricultural work to its previous status. 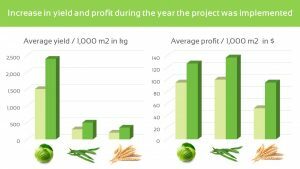 The farmers experienced a significant increase in crop yield and profits. New job opportunities were created, especially for young men and women in the villages. Project staff suggest there could even be a link between the project and a decrease in children in the area leaving school because their families could now afford to pay school fees. Generally, the project supported and encouraged the farmers to return to their fields and to fulfill their family’s needs through agricultural work, as they had in the past. In some cases, it even brought back families together.